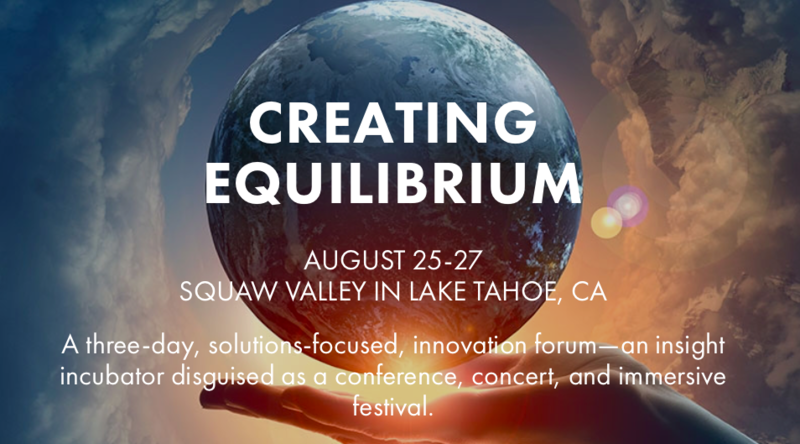 ABCey is excited to announce that we’ll be co-producing Creating Equilibrium, an exclusive, invite only three-day innovation forum! The goal? Foster radical new approaches to solving critical environmental issues! The event will include a forum with tons of inspirational leaders, concerts, and an immersive festival to bring awareness and help unearth real-world solutions! Be a part of this revolutionary Visions Conference! This solution-focused conference will allow you to ask questions and learn from industry experts. You will also have the opportunity share your own ideas about how to increase sustainability and solve serious environmental problems! On Sunday, there will be a surprise “Hot Tub Time Machine” pool party w/ a very special celebrity guest among other fun surprises and water trivia. Creating Equilibrium is an incubator for new and progressive ideas regarding the environment! If you’re a part of a start up company with a concern for the environment, this is the perfect event for you! Apply now and be a part of this extraordinary experience! Enjoy fun entertainment and food as well as the beautiful scenery of Lake Tahoe during the Village Green Festival! Thisinnovative event is one that you don’t want to miss! Don’t miss out on this incredible opportunity to play your role in solving crucial environmental issues! Apply to get your Tickets now! Will you be attending the Creating Equilibrium event? Let us know in the comments below or on Facebook and Twitter! “I love the Internet. I haven’t been in bed with this many strangers since I stopped drinking.” – Joan Rivers previewing her keynote at Internet Week New York in today’s New York Daily News. Internet Week, now in it’s fifth year is gearing up May 20th and will feature over 250 events aimed at helping New Yorkers connect with the city’s thriving tech community. If you are wondering what the future holds for the Internet, this is where you want to be! As many of you know ABCey has an affinity for all things tech, so we’re super bummed to miss this one. The initial idea of the conference is the belief that this is where technology, business, and culture meets. They aim to show how technology has revolutionized every section of business, from food to fashion to education. The central headquarters of the festival is Metropolitan Pavilion, which will bring together over 45,000 Internet professionals over four days for celebrity keynote speakers, panel discussions, workshops, and tutorials. These events will be geared towards beauty & tech, music tech, sports & fitness tech, food tech, and women in tech. Every year they have a mainstay focus of advertising, media, and marketing, and this year will introduce discussions about the impact of the Internet in law, real estate, and finance. 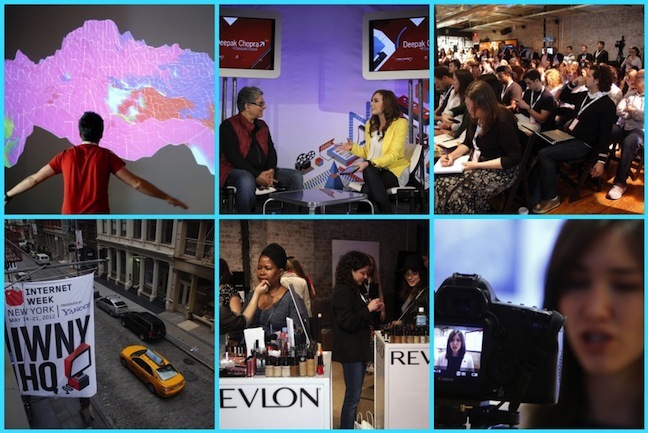 We think Internet Week NY seems informational, beneficial, and fun. We wish we had the time to hop on a flight to New York, but we’ll be on the lookout next week to see how things are going! Are you attending Internet Week NY? Let us know in the comments below or on Facebook & Twitter!